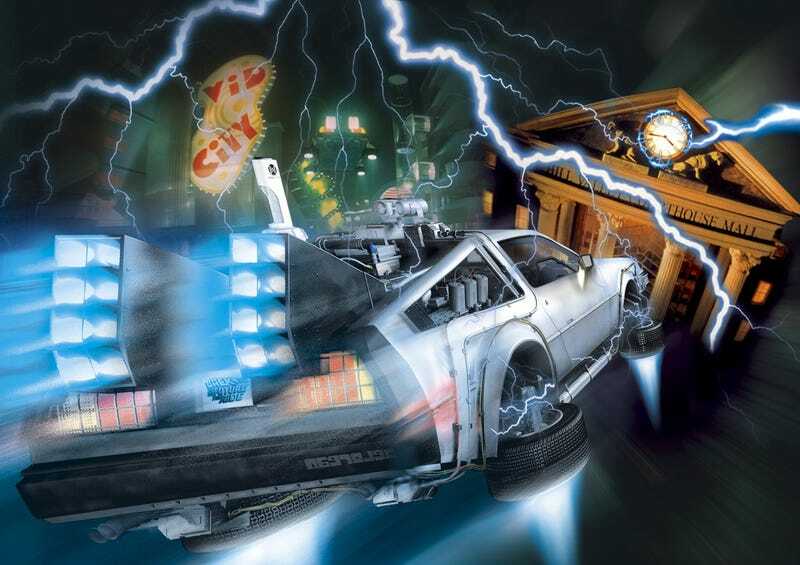 The last remaining Back to the Future ride in the world is closing this spring. Back to the Future: The Ride will be no more. According to Cinema Today, Universal Studios Japan in Osaka will shutter the attraction on May 31. The ride opened at Universal Studios Florida in 1991 and Universal Studios Hollywood two years later in 1993. Both, however, were closed in 2007. The last remaining one has been at Universal Studios Japan, where the ride has been since the park opened in 2001. It’s identical, but features a Japanese language track. The ride apparently came out of a conversation George Lucas had with Steven Spielberg when Lucas said that Universal Studios “could never do a Star Tours.” In recent years, the ride, powered by an OMNIMAX motion simulator, has shown its age. Yet, even with the cathode ray TVs and the old motion tech, it’s been a fan favorite at Universal Studios Japan in part, perhaps, because the movies continued to have a following in the country. This photo was taken on March 10. The wait is 120 minutes. Every fall, I go to Universal Studios Japan with my family and every fall, without fail, we ride Back to the Future: The Ride. It’s my eldest son’s favorite ride, and he has numerous memories, such as the time his Daddy lost (but then found!) his phone in the DeLorean. Considering how the Back the Future gift shop became a Minions store last year, we did see this coming. But he’s going to be crushed when he hears this. At least the ride lived to see 2015.